Sivan Eldar is an Israeli-born composer whose TMF Commission will receive its world premiere at our Gala. Her work, titled "Mother Tongue" unites new TMF-Commissioned poems about freedom by Agi Mishol, a Jewish Israeli poet whose parents survived the Holocaust, and Salman Masalha, an Arab-Israeli poet living in Jerusalem. Ms. Eldar who uses instrumental, electronic, and found sounds to create compositions for live concerts, theater, dance, radio broadcast and gallery spaces. She has worked with many of today’s leading ensembles, and has received awards from the Fulbright Foundation, Hearst Foundation, ASCAP, The European Broadcasting Union, the Accademia Musicale Chigiana, and the Nicola di Lorenzo Competition, among a few others. 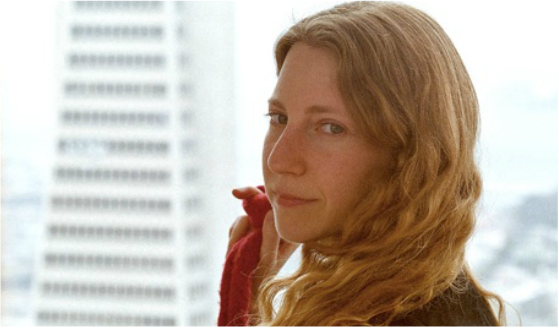 She is currently a PhD candidate in composition at the University of California, Berkeley, where she works at the Center for New Music and Audio Technologies (CNMAT) and at the Berkeley Center for New Media (BCNM) with advisors Edmund Campion, Franck Bedrossian and Ken Goldberg. She is the recipient of the 2014 George Ladd Prix de Paris. In my settings I first of all wanted to be true to each text. 'The Song About the Child' has beautiful rhymes and double rhymes in Hebrew. It is an anthem of sorts, but also a tragic lullaby. When I created the relationship between the soloist (singing in Hebrew) and the choir (singing in English) I wanted to highlight these two qualities. 'Mother Tongue,' on the other hand, is a narrative poem where each stanza paints a different image. A theme that ties all the stanzas together is the discovery of words - from vowels to letters to words to poetry. I decided to echo that process musically - moving from breath to pitched sounds to harmony. The birth of music. The words of the narrator, as in the poem, tie it all together. I imagine the two settings as two movements: 'Mother Tongue' followed by 'The Song About the Child.' Harmonically, they transition into one another. The soloist also plays an important role in connecting them. When she finally begins to sing the text in the second movement, the choir follows, creating a kind of question and answer between the singular and plural experience, between vowels and words, and finally between different languages."